My girlfriend is currently volunteering at a small book shop and the best part of her job is that she is able to see all the good books as they arrive. 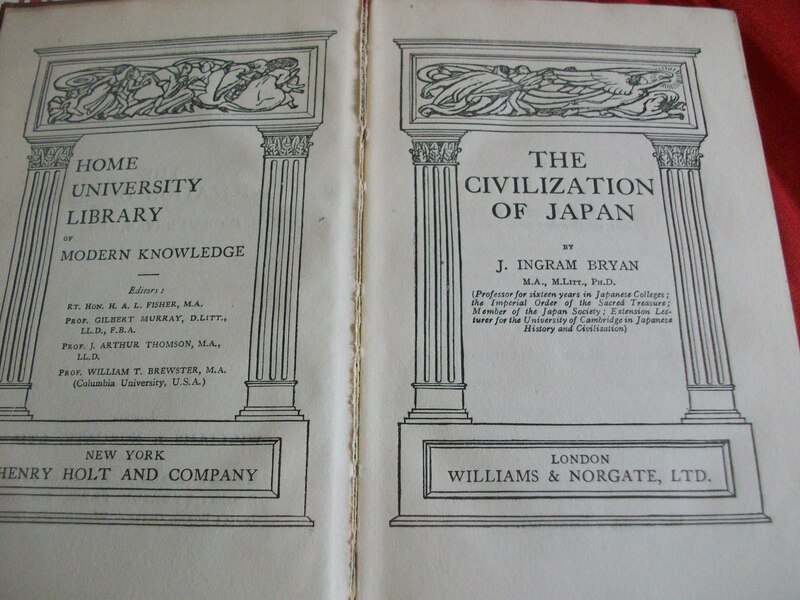 As she knows I am totally in love with all things Japan she got me 3 books as a present. 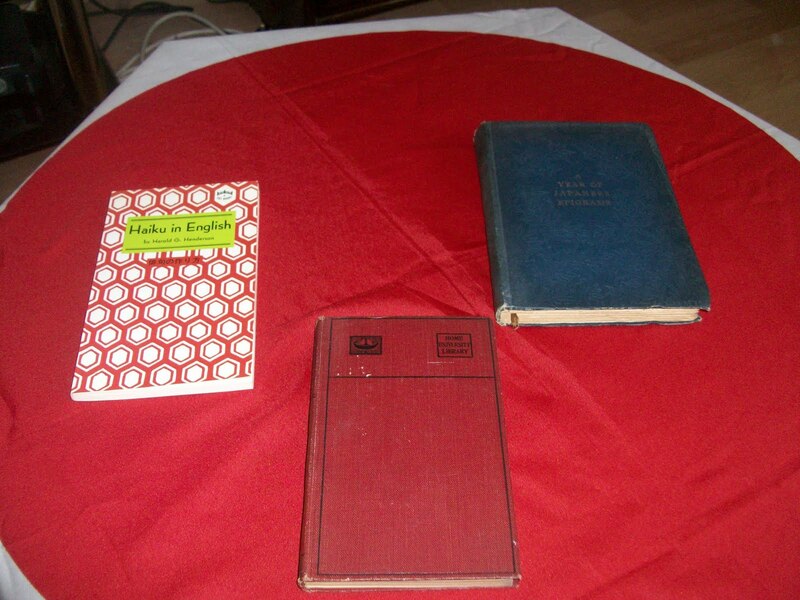 I do not know much about old books and I must confess that I do not know anything about these books and I have yet to read them. So for now I thought that I would share with you a few photos of them and I will let you know more about them when I get around to reading them. 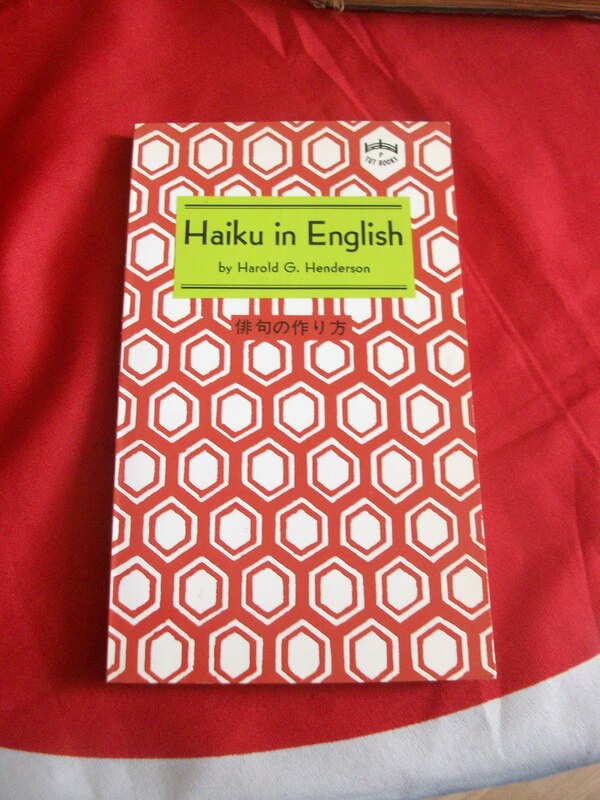 The first book is Haiku in english. 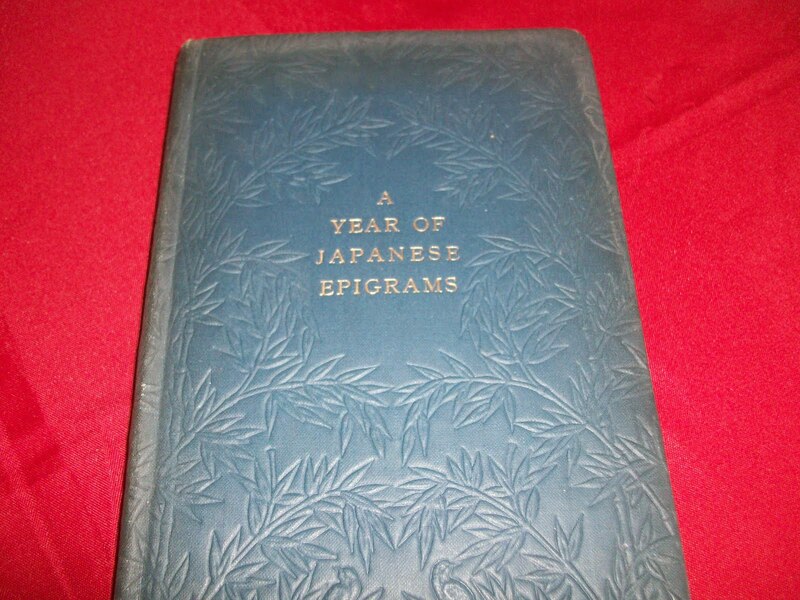 The final book, A year of Japanese Epigrams I think is my favorite so far because of the beautiful prints throughout the book and the embossed cover. 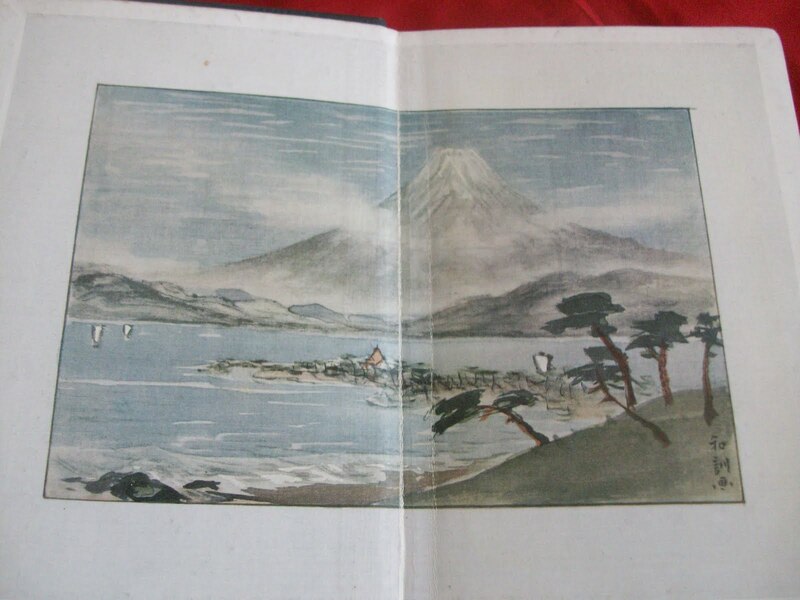 You can see more photos of these books at my new Flickr page. 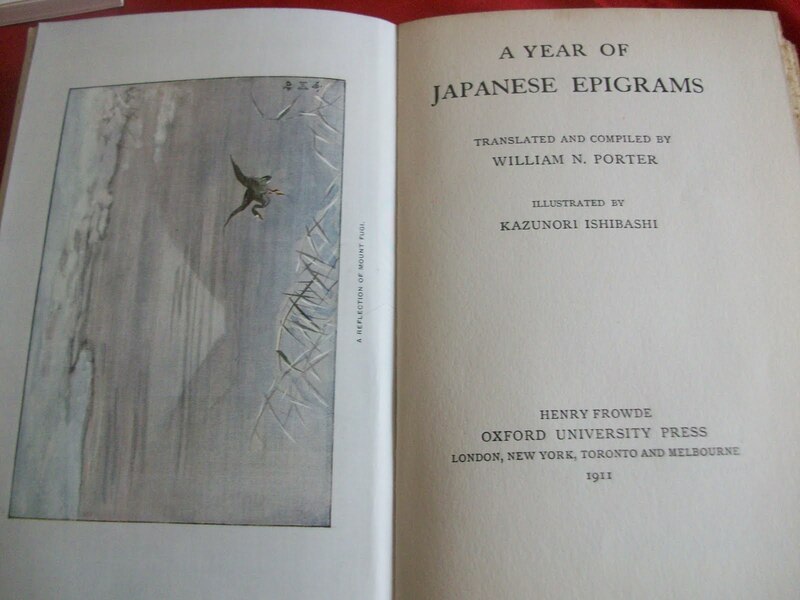 Posted by theloveofjapan on July 10, 2011 in Experiences, Photos and tagged book shop, books, epigrams, haiku, japan, japanese.